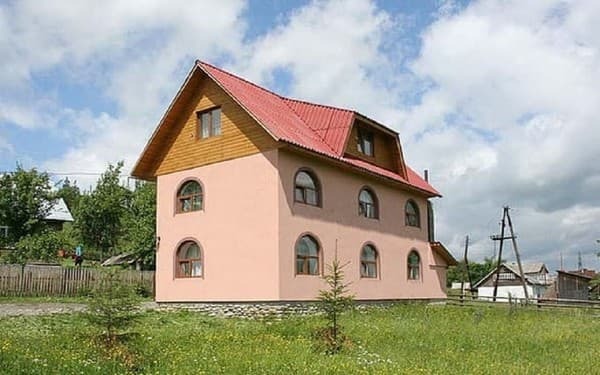 Cottage "Miroslava" is located in the village of Lazeshchyna, at a distance of 1.5 km from the central part of the village. Guests are offered accommodation in two-story and three-story houses, for 10 and 15 people. Each cottage has a bathroom, a living room, a kitchen and rooms. 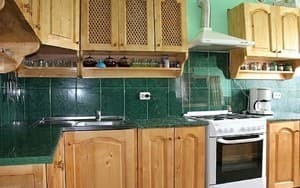 The kitchen is equipped with a stove, refrigerator, electric kettle and necessary utensils. There is a gazebo, a brazier and a parking lot for guests. 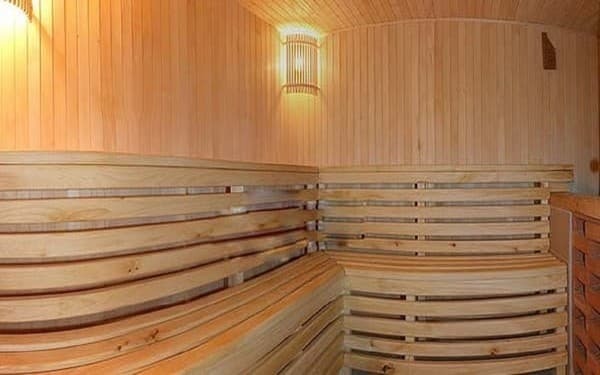 Relaxation is offered to guests in the sauna. For fans of outdoor activities, for an additional fee, organized tours and hikes in the mountains, departure to the polonin, transfer, child care, in the summer - the collection of mushrooms and berries, in the winter - sledding. Cottage "Miroslava" is located between the ski resorts Bukovel and Dragobrat. The distance to the ski resort Bukovel is 15 km, to Dragobrat - 15 km, to the village of Yasinya - 6 km. 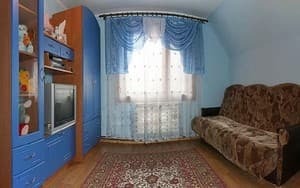 Railway station in Lazeshchin is located at a distance of 1.4 km, to the store - 400 m.
Description of the room: Two-storey cottage with a total capacity of up to 10 people. On the ground floor there is a hall, a fireplace room with TV, a kitchen, a bathroom and a double room with a large bed. 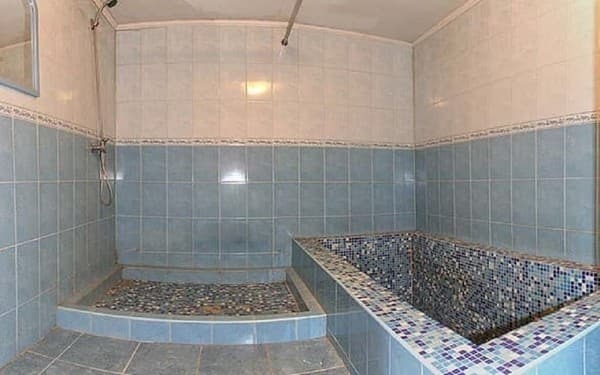 On the second floor there are 4 double rooms (in three there is a sofa bed, in one there is a double bed, a TV set, a wardrobe) and one bathroom. Description of the room: Three-storey house with a total capacity of up to 15 people. On the first floor there is a kitchen, a dining room and a bathroom. The second floor has three double rooms that are equipped with two single beds or a pull-out sofa, clothes hangers and a TV, triple room and a bathroom. In the triple room there is a single bed and a sofa bed, a clothes hanger and a TV. On the third floor there is a single room with a sofa bed, a double room with a large bed and a triple room with a double bed, sofa, clothes hanger, TV. Also the third floor has a separate bathroom. Meals are by agreement with the owners of the dish of home, Ukrainian cuisine. There is an opportunity to use the equipped kitchen. The distance to the nearest cafe is 200 m, to the restaurant - 1.5 km. 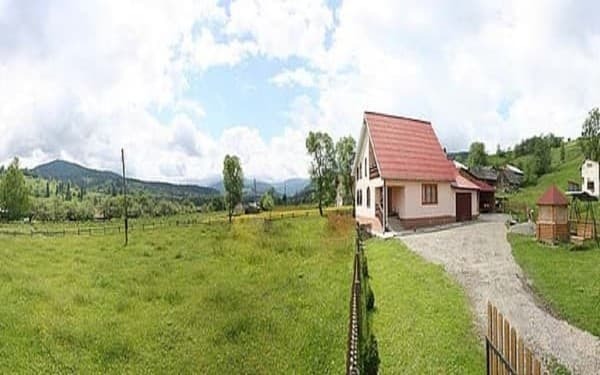 Cottage "Miroslava" is located in the village of Lazeshchina, 1.5 km from the central part of the village, halfway between the ski resorts Bukovel and Dragobrat. The distance to the ski resort Bukovel is 15 km, to Dragobrat - 15 km, to the village of Yasinya - 6 km. Railway station in Lazeshchin is located at a distance of 1.4 km, to the store - 400 m.
By train in the direction of Rakhova to the station of the village of Lazeshchyna. Then in a taxi or you can pre-arrange a meeting with the owners. By car on the highway Ivano-Frankivsk - Mukachevo (H-09) to the village of Lazeshchyna. In the center of the village turn around the bar "Teren" according to the signs for Kozmetschik.